"Den svenske kocken bjöd oss på lunch." Translation:The Swedish chef treated us to lunch. Och jag hoppas att ni har haft det! "ØØØØØH BÖRK BÖRK BÖRK PLEEÅSE CØMMEN TO LUUUNSJET BÖRKY BÖRKY HMMDEEHUMMDEEDØM"
Why is it 'svenske' and not 'svenska'? You can use either, -e is sometimes used when the thing you’re talking about is male. Given the above response, shouldn't both 'svenske' and 'svenska' be acceptable as a solution then? Thanks for the quick reply! I either have made a different mistake in my answer or it has not accepted the 'svenska' and told me to use 'svenske'. Have flagged it. They are not. 'Svenska' was not accepted. I imagine that this isn't because it's not allowed, but more because it's a listening exercise and the audio clip says 'svenske'. However it is a little finicky and we maybe shouldn't be penalised for it. Ah yes, svenska is accepted in translation exercises here, but not in the 'write what you hear' exercises. After all the voice does say svenske. I'll try disabling the listening exercise instead. 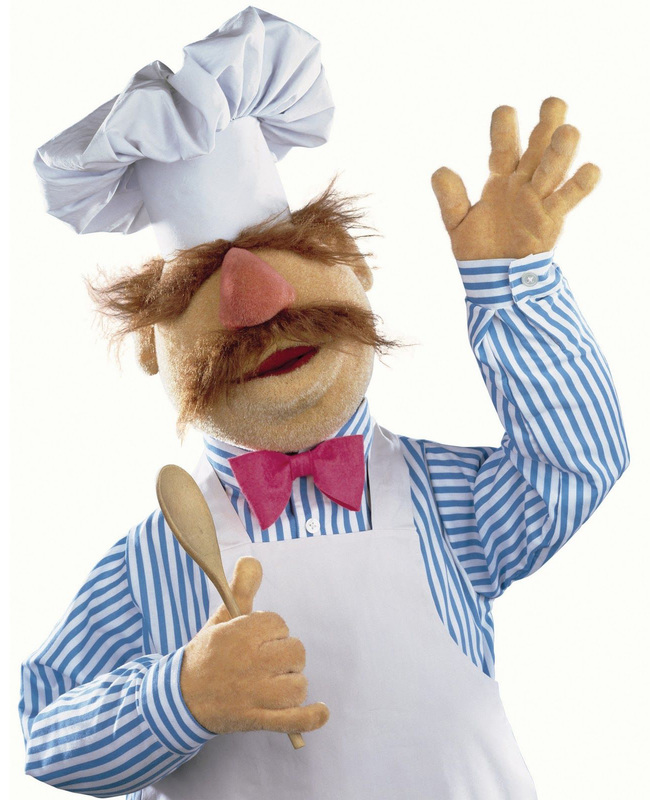 Argh I keep getting caught out on this one cos I use my regional phrasing: "The Swedish chef shouted us (to) lunch!" I am guessing that this is fairly regional or it would have been added by now? For me this would be the most idiomatic way to say this although treated works perfectly fine too. Not complaining about being marked wrong (or suggesting this option be included)... I am just interested to hear if others use this expression as well?! I understand that. The language geek in me is just curious as to how regional it is, who says it and where. I can't remember why it's Den Svenske kocken and not simply Svenske kocken. What confuses me most is that it's den and not only de. de is only for plural expressions. For singular expressions, it's either den or det depending on the gender of the word, so since kock is a common gender noun, it must be den. We normally use double (or triple, depending on how you see it) definiteness in expressions with adjective + determinate noun in Swedish, so this is just how our language works. In a few cases, when expressions are seen more as names, the article is left out. So when we speak about the Muppet show character Svenske kocken, that would be an example of that – in his case, 'Svenske kocken' is more of a name. The sentence above is not necessarily about him though, just about some swedish chef. Thanks for the reminder :) great response! "Asked us" is not accepted even though it is synonymous with "invited" in this context. Could "bjöd" also be translated as "offered"? I think it can in other contexts, but you can't say 'offered us to lunch', and there's definitely a preposition before lunch. Would be the sentence "Svensken kocken bjöd oss på lunch" accepted? No, "svensken" means "the Swede"